Please dowse how useful the transformation that comes from reading this book, and doing the exercises, would be for you. 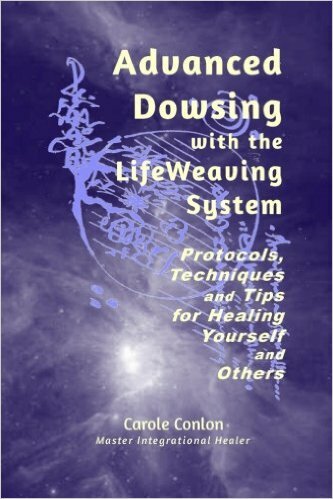 Please only buy this book if you get a positive dowsing response to it. We wrote this book for seekers, like us. We wrote it for our own use, first. This book is for the committed seeker, who may have read short books, or taken courses, here and there, and is ready for something more thorough. This book is intended to transform the reader. Why would you read a book like this? We trust that it is to get encouragement, guidance and help achieving/being/doing/experiencing/having whatever it is that you seek. Here is a simple way. Be whatever you seek, right now. Walk into it. How would you feel, if you already were, were doing, or had what you seek, right now? As soon as you feel that feeling, you have entered the address in your subconscious GPS. Itâs that simple. You are in a massive matrix, of points of possibility. What you feel to be real programs your GPS. This book will awaken awareness useful for this exercise. We ended our last volume with a variation of Joseph Murphyâs identification with the infinite exercise, which opens the treasurehouse. This seems simple. It is simple. Itâs just not easy, at first. Another major tool is meditation. Meditate just five minutes per day, and you will open up. Make it three separate five minute sessions per day, and youâll notice interesting changes. Your intuitive guidance and dowsing will open up. The three points here are worth much more than what you paid for the book. I was told these points, myself, when I was young. I didnât believe them. I had to follow a more detailed path. 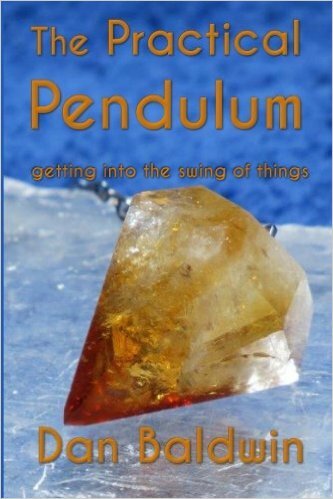 The books in this series are detailed, as they are written for people who like detail. The dominant thought in your subconscious mind creates your reality. Change that, and reality shifts. This is the heart of much high level spiritual work. 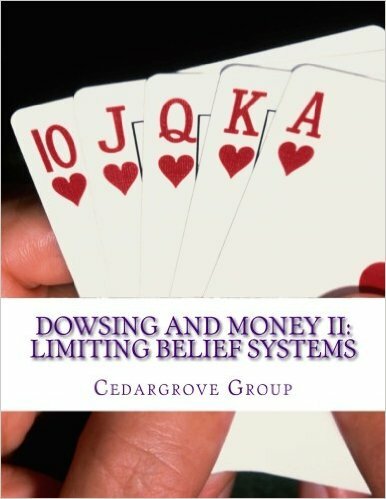 Most of this volume is intended to help you identify limiting beliefs, and to transform them. The lists of limiting beliefs, which are usually founded in feelings, are longer than any other book Iâve read. I needed these lists. You might not- dowse, and check. You may be able to skip directly to our third volume. There is some duplication of the introductory sections of the first volume, so this volume can stand on its own. Our works, and we, are the crystallization of the questions we ask. The core question we used to create this book was âWhat would a book that would solve people’s money problems, and make their lives far more fun, and pleasant, look like?â Books, ideas, and information showed up, often from unexpected sources, and in unexpected places. We found that asking questions focused our awareness, so we noticed far more useful information. What is your core question about money? Why not form that, right now, so you get as much as possible out of this book, other information flowing in, and your life? If you don’t have such a question at hand, why not start with a question like âHow do I take my next step, on my path in my life, which is growing ever more abundant, fun, and satisfying?â This kind of question- what we call a Multidimensional Dowsing Question- opens up awareness, and guides one on the path. Those who normally read 40,000 word nonfiction mass market paperbacks, or 20,000 word romance or adventure novels, may find this book beyond a night’s read, and that commitment to completion is useful. We seek to shorten your path, to what you seek, through this book. If even just 10% of the worldâs population understood the lessons in this series, most of the worldâs problems would cease to exist.